The two houses were intended to be (as they eventually became) the first of a row of houses. The bricks protrude from the wall of number 23 ready to be tied into a house that is yet to be built. The 1911 Census does not show the property. We understand that the two houses may not have been built until 1913 by which time planning permission had been approved to build at the rear of the houses an extension with toilet and bathroom with a tank on each extension roof to catch the rainwater from the main roof. 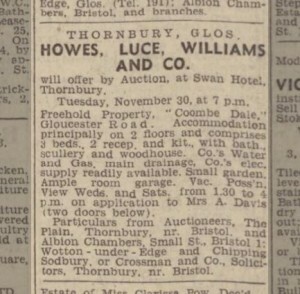 We know from sales notices published in the Western Daily Press in 1948 that the house called ‘Coombe Dale‘. William Valentine Davis was baptised in Thornbury on March 6th 1881. He was the son of George Davis, a mason, and his wife Sarah Ann who lived in Crossways. William became a mason, like his father and his brothers (Charley and James Miller). His two other brothers were also in the building trade (Harry became a decorator and Alfred George became a carpenter). The 1910 and 1913 electoral registers show William was living at Crossways and was qualified to vote as an owner of property in Gloucester Road. Presumably this is an indication that William owned the land at Gloucester Road but had not yet built the houses. William Valentine Davis married Alice Hughes in St Mary’s Church, Thornbury, on 22nd December 1913. William’s brother, Charley Davis and Alice’s sister, Florence Louisa, were witnesses. Alice was baptised 29th March 1888 at Hill. She was the daughter of Joseph Hughes, an agricultural labourer and his wife, Hannah (nee Till). The family had been living at Nutcrackers Hall in the 1891 census. Joseph had died and was buried on 5th January 1894 aged 45. The 1901 census shows Hannah had moved with the children to live in Lower Morton and in 1911 census they were living in the Hackett. Alice was listed as a dressmaker in this census. We have been told by a family member that William and Charley worked as builders and were often out of work at this time. One of the projects on which they worked was the construction of Barry Docks. They used the time when they were unemployed to build the two houses which are now known as 21 and 23 Gloucester Road. 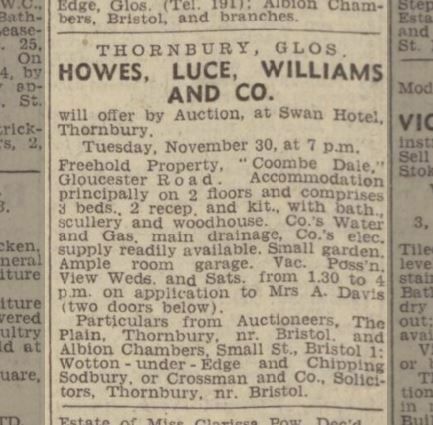 It is interesting to note that when the Davis brothers built their houses they were told they wouldn’t find any tenants who wanted to live that far out of Thornbury. There was a delay of several years in the Davis brothers pursuing their plan, perhaps caused by the intervention of the First World War. Charley had enlisted in April 1916, although he was discharged in June 1916 as being unfit for military service. According to William’s army records, he enlisted in 1916 and seems to have become an army driver. It is noted that there was some concern about his eye sight but he ‘declared fit for H.S. driving with glasses’. We can’t be certain but suspect that ‘H.S. ‘ might mean Home Service. At the time of enlistment William was a builder living in Gloucester Road, Thornbury, and was described as aged 34 years 6 months, 5 ft 5.5 inches tall and 35 inch chest (when expanded) with 3 inch range. He was discharged from service on 18th February 1919. We assume that William and Alice were living in 23 Gloucester Road from the time that they were built in 1913. In 1920 the brothers submitted plans for a further two houses (numbers 25 and 27). The plans indicated that they anticipated two more being added at a later date. We are not actually sure when the houses were built but they were there and occupied by the time of the 1925 Valuation List. William died in 1922 so the work of building the last two houses fell to Charley. Stafford Morse – we are aware that the Morses only lived in Thornbury for a very short time, but it gives us the opportunity to write about Stafford’s contribution to Thornbury. We don’t know when the Morses first moved to Thornbury. They are not listed in 1921 electoral register, but the 1925 Valuation List shows Stafford Morse living in 25 Gloucester Road. Both Stafford and his wife Gladys May are listed as living in the Gloucester Road in the 1925 electoral register and we assume that this means they were at 23 Gloucester Road. They had moved away from Thornbury by the time of the 1926 Rate Book. Bath Stafford Morse was born in Totnes, Devon on 31st August 1883. He was the son of Charles Henry Stafford Morse, a pharmaceutical chemist and his wife, Eliza. In 1891 census the family were living at 54 High Street, Totnes. In July 1899 there is a report in The Western Times of Stafford winning a ‘County Exhibition of value £40’ whilst being at pupil at Ashburton Grammar School. At the time of the 1901 census Stafford was at Ashburton Grammar School in Devon. He was a scholar aged 17 – note he is indexed in Ancestry under the name of ‘Moose’.’ His parents were still living in the same house in Totnes (indexed under the name of ‘Moore’). It appears from Stafford’s teaching registration record that when he left school he chose a teaching career. The records show he took up first position in 1903. His father died 20th May 1906 at Tor View, Totnes. By 1911 the census shows that Stafford was at Budbrooke Barracks in Hatton Budbrooke, Warwickshire. As he was described as a student and amongst the lists of “those other than soldiers” we have interpreted this as an indication of the fact that he enlisted into the Birmingham University Officers’ Training Corps. This would explain why he had a B.A when he began teaching at the end of the First World War. Stafford’s mother had now moved to 10 Seymour Road, Bishopston Bristol with their other son Rowland Bennett who was a chemist’s assistant. The London Gazette listed Bath Stafford Morse as becoming a Second Lieutenant in the 4th Battalion, Prince Albert’s (Somerset Light Infantry) on 29th August 1914. Later it reported that he was to become Captain in the same unit on 29th May 1915. Stafford’s army records show that he served in Mesopotamia in 1916 . On 26th August 1915 Stafford married Gladys May Durnford, in Bishopston, Bristol. Gladys was born in Bristol in on 19th May 1890. Her parents were Maton Durnford and his wife Maria Louise. 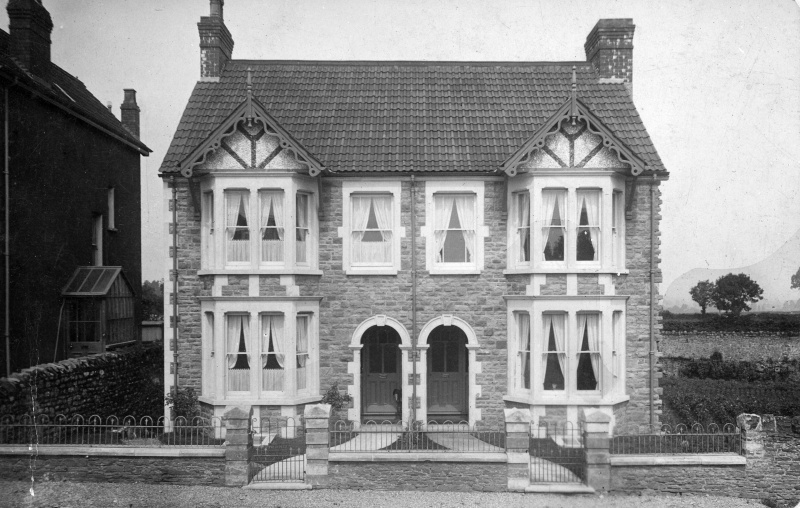 In 1891 census they lived in Rozel Villa, Bedminster. A report in the Western Daily Press in January 1904 shows Gladys had done well in a practical music exam set by Trinity College. She obtained a pass in the ‘Intermediate Division’. By the 1911 census they had moved to 47a Berkeley Road, Bishopston. Gladys was a student which must have been very unusual at that time. Her father was now a managing director of a sawmill and timber company. Interestingly, Gladys’ brother, Cyril Maton Periam Durnford, did extremely well for himself – in a military career spanning almost 40 years he gained the honorary rank of Lieutenant General and made a Companion of the Order of the Indian Empire and a Companion of the Order of the Bath. When Stafford left the Army he appears to have taken a teaching position in Yorkshire. The records of the trade union, The Incorporated Association of Assistant Masters in Secondary Schools, list him as being a B.A. at at the High School, West Leeds in 1919. 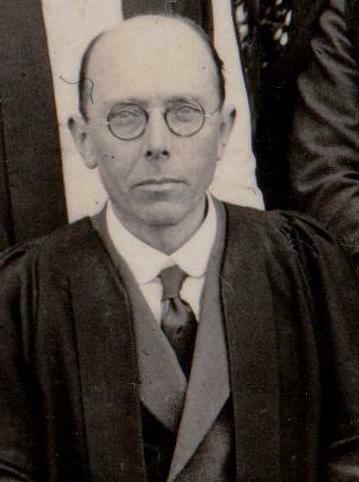 Stafford was also credited with making the major contribution to the ‘Memorandum to the Teaching of History’ published in 1925 by The Incorporated Association of Assistant Masters in Secondary Schools. They appear to have had two children whilst based in Leeds: John P. S. in 1919 and Charles S in 1921. The birth of Stephen P. was registered in the Bristol area in 1924. Stafford took up the position of a master at Thornbury Grammar School. After their few years in Gloucester Road the Morses moved to Alveston. We know from the autobiography of Francis Hopkins that Mr. Hopkins ‘bought the old Fiat car, scales, equipment and stock and set up his little shop in the old dairy of his farmhouse home at Crossways. His first visit was to Mrs. B. S. Morse, of Corderies, Alveston who has remained a satisfied customer to this day’. In 1939 in preparation for the Second World War the authorities listed the people living in each house. The document for Alveston shows Stafford as a school master and Gladys as doing ‘Unpaid Domestic Work’. It was noted that Stafford became an Air Raid Patrol warden during the War. Stafford went on to have a long and distinguished career at the Grammar School. He was a classical scholar, teaching history, music, religious education and Latin when it was re-introduced in 1932. He retired from his position about 1950 but continued his contact with the school through the Old Thornburians’ Society in which he served as one of the Vice Presidents. “Amongst our more benign members of staff was Mr B. Stafford Morse who taught History and Latin. Mr Morse was a highly eccentric intellectual, an egg-head if ever there was one, who had reached his half-century and at times seemed to pass into a dream state. I survived his rather dull history classes well but after one year he decided quietly and without fuss, that my forte was not Latin. This was rather a shame as I looked forward to the day when I would be able to hold encrypted conversations with my friends and perhaps the odd Roman, and, in private, I took pleasure in shouting out “paeni, pone, post” and “praeter” or whatever it was. Furthermore, I understood “Per Ardua ad Astra” and came near to understanding “Disce aut Discede”, the school motto! But there it all ended!. Mr Morse was also remembered for some of his pronunciations, which seemed strange to the class from the ‘duckponds of Gloucestershire’: for example, he called a “cinema” a “kinema” (from the Greek for “movement”, I later discovered) and “Trafal-gar” was extended to “Traf-al-gar”. He was very interested in local history and wrote a history of TGS but unlike the HM, was rarely seen near a sports field although, perhaps because of his name, he was a strong supporter of Stafford House“. He was also well known for his contribution to local history. In 1951 he produced a booklet ‘Thornbury in 1851’ which is still available in local libraries. His most memorable work was ‘The Development of a Country School’ a published in 1950 and providing an interesting and detailed history of the Thornbury Grammar School. He was also very active in encouraging other people to think about the history of where they live. 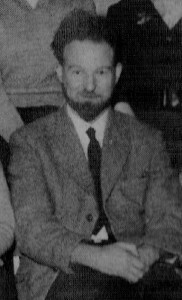 He was one of the founding members of the Society of Thornbury Folk and was its Honourable Secretary from its formation in 1946 to his death. Stafford died in 1969 aged 85. The 1970 electoral register shows that Gladys moved to live at ‘Coachmans, Park House, Thornbury’. Gladys died on 6th October 1984. Her probate record shows she was still living at ‘Coachmans. There is a long period from 1925 to 1937 when we can’t be sure who lived in the house. We are guessing that in 1930 and 1931 William Mansell Jenkins and Ruth Jenkins who were listed as living in Coombe Dale might have been in this house. William had married Ruth Bristow in Whitchurch, Shropshire in 1929. They had a son, Brian R, born in Thornbury in 1931. Ann Mary Sully and Sophia Ponting – the 1937 electoral register lists Ann Maria and Sophia in Gloucester Road. The 1939 Register confirms that these two retired elderly ladies were living at 23 Gloucester Road. Ann and Sophia were sisters, the children of George Ponting and his wife, Marianne. They carried on living in the house until Ann died on 30th September 1948 aged 85. Sophia continues to be listed as living in Gloucester Road until 1951 so she may have been sharing the house with the Cudmores (see below). She died in Thornbury Hospital on 10th December 1952 when she was aged 103. The house was advertised for sale in 1948 and the notice of the sale that anyone wanting to view should see Mrs A Davis. This suggests that Mrs Davis had continued to own the property until this time. The Cudmores – the electoral registers from 1949 to 1975 show that the house was occupied by the Cudmore family. Douglas Henry was born in the Hackney area of London in 1912. He was the son of Henry Harold Cudmore, a bank manager and his wife, Rose (nee Stock). In the 1911 census they were living at 239a Mare Street, Hackney. In 1939 Douglas married Patricia Bessie Tute in the Islington area of London. Patricia was born in 1917, the daughter of Leonard S Tute and his wife Gwen (nee Herbert). It appears that Douglas and Patricia had three children before they moved to Thornbury. Their first child, Valerie C Cudmore, was born in the Essex area in 1940. We don’t know any more about Valerie. The birth of their second child, Daphne C, was registered in Stoke in 1942. Daphne died aged 3 in the Lambeth area of London in 1945. Their third child was Howard Bruce Cudmore born in Lambeth area in 1947. Howard received an adult baptism in St Mary’s Church, Thornbury, in 1965. The London Gazette dated 5th December 1944 shows Douglas was a Cadet in the Royal Corps of Signals. He was being appointed 2nd Lieutenant. We don’t know any more about his army career. When they moved to live in 23 Gloucester Road in 1949 the electoral register shows Patricia’s mother was living with them. She was also listed as living with then in the 1951 register. Rose must have moved back to London because she died in the Romford area in 1953 aged 72. The Cudmores had four other children, all born in Thornbury: Guy St J. born in 1949, Alan Q born in 1950, Peter L. born in 1957 and Hazel A in 1960. The Cudmores moved to Thornbury because Douglas had become Art Master at the County Secondary School at Gillingstool, later moving to the new site in Park Road when the school was renamed ’The Castle School’. He also ran very popular night-school classes for residents aspiring to be artists and potters. The Cudmores had a sign in the window of No. 23 saying ‘Honey For Sale’. Douglas kept bees and had hives in the front garden for many years until following an incident they were relocated to the allotment near St Marys School. At least two of the Cudmore children, Guy and Howard attended the Grammar School. We understand that Douglas was a very quietly spoken, well mannered man and that the family were always friendly. Their life style may have been a bit different from their neighbours, and in many ways were ahead of the times. They did not own a car, were pioneers of self sufficiency through their allotment and bee-keeping and they didn’t have a television at a time when most of their contemporaries did. The family had moved away from the house by 1980. Douglas’s death was registered in the Stroud area in 1997. Patricia’s death was registered in Cheltenham area in 1998. The Effords – we don’t know much about the Efford family nor how long they lived in the house. They were listed as living there in the 1980 electoral register. John C. Efford had married Margaret S. Kenyon in Southport in 1959. Their first child, John C., was born there in 1959, and they had three other children: Richard A., Peter A. and Janet S all born when the family were living in Bristol in the 1960’s. In the 1980 electoral register only Peter and and Richard are listed as living with the family.